Shri Prasadrao Keshavrao Salve, was born to Sakhubai, on 15th july 1883 at Ujjain. Keshavrao, the father, who was a direct descendent of Shalivahan dynasty, had died about four week before Prasadrao’s birth. Prasad Rao, the youngest, was a particularly brilliant student and received scholarships throughout his academic career. He studied law and joined a well-known firm in the city of Chhindwara. He married soon after, but sadly, was widowed at the age of 37, with five children. Though reluctant, he was eventually persuaded by his relatives to remarry, out of concern for the children's wellbeing. There was a young woman from Nagpur named Cornelia Karuna Jadhav, the first woman in India to receive an honours degree in mathematics. She was also a scholar of Sanskrit and very well versed in ancient Indian culture. Because she was so highly educated, it was difficult for her father to find a partner for her of at least equal, if not higher, academic qualifications. Prasad Rao and Comelia shared a deep love for their country and its great spiritual tradition and values. 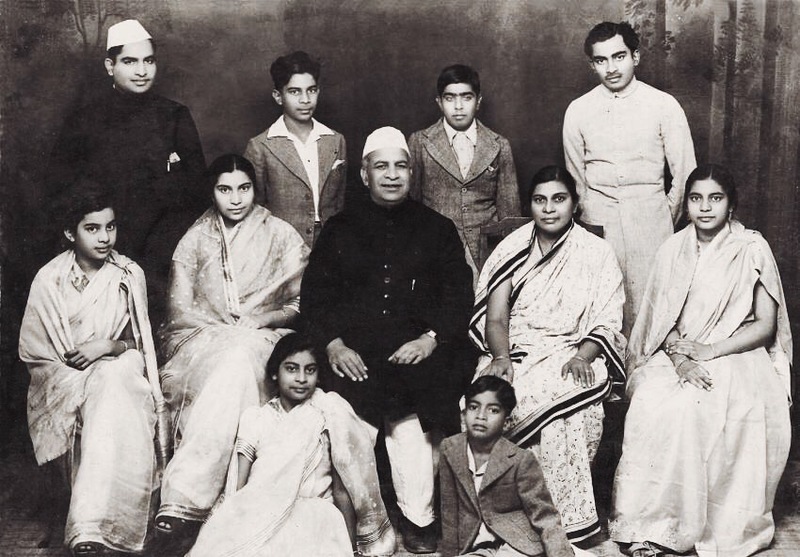 Their daughter Nirmala was only two years old in 1925 when they met Mahatma Gandhi for the first time, and this meeting had an enormous impact on them. They recognized and shared his vision for a free India achieved through non-violent struggle. Despite the fact that Prasad Rao had been given a title by the British and that they were Christian (which meant a lot of privileges during the time of British rule), he and his wife did not hesitate to join the movement, making their position clear - even burning their foreign-made clothes in the public square of Nagpur. Because of their involvement in the freedom struggle, they were both jailed several times, and they made it a family rule that no one was to shed tears for them. India's freedom was the most important thing, and self-sacrifice was the rule, not the exception. Apart from a talented lawyer and close associate of Mahatma Gandhi, he was also a member of the Constituent Assembly of India and helped write India’s first constitution. He was a renowned scholar and was fluent in 14 languages. Updated on 2017-09-04T23:48:11+00:00, by admin.